"A Town Like Alice/The Legacy"
A Town Like Alice (The Legacy) is the story of Jean Paget, a young Englishwoman in Malaya during the Japanese occupation, who with other women and children was sent on foot from village to village while their captors tried to decide what to do with them. More than half the party died of disease or malnutrition until eventually they were allowed to settled in a small coastal village to wait out the war. During their travels they met a couple of Australian prisoners of war driving and maintaining trucks for the Japanese. Jean struck up an acquaintance with one of these men, Joe Harman, who stole some chickens for the party, was discovered by the Japanese, and was crucified before their eyes. Jean Paget was repatriated to England after the war, and a few years later when she came into a legacy she decided to build a well for the Malaysian villagers who had been so kind to her and her party. During the building of the well, she learned that Joe Harman had not died; she flew to Australia to find him, they fell in love and it is at this point that A Town Like Alice becomes pure Nevil Shute. Shute was an engineer and an entrepreneur-a starter, as he put it, not a runner. He was a practical man, and practicality is typical of many Shute characters. Jean Paget is no exception. Joe Harman was manager of a cattle station near a godawful place called Willstown in Queensland. Willstown had nothing: no shops, no cinema, nothing but a hotel and bar, a flyblown bank, fierce heat and crocodiles. No matter how much she loved Joe, Jean knew she would not be able to stand Willstown for long. So she decided to change it. She decided to make it like Alice Springs. Her starting point was crocodiles, and her objective was women: Willstown had none, and Jean knew it had no future unless it could attract them. The cattlemen would stay and settle and raise families if there were women for them to marry. So she used the crocodiles to get the women and the story of how she did it is exciting and exhilarating and immensely satisfying. A Town Like Alice is in the best tradition of "make and do" books. It portrays people who, rather than whining about life's adversities, set out to change them. Shute was never one for the grand gesture, the bold stroke. Rather, he showed step by step how ordinary people coped. We can all believe in his characters; we can all relate to them; and reading his books brings home to us the heroism inherent in simply tackling life the best we can. 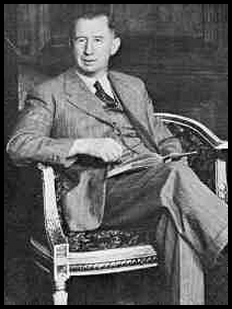 One of the best gifts I ever received was a twenty-first birthday present: a complete set of Nevil Shute's works. I'd read most of the books as a teenager; since then I have read and reread them many times. I sometimes try to draw up a short list of my favorites among the twenty-three novels. I've reduced it to ten; fewer than that I cannot make it. There are ten Shute novels I love, each in its own way, and if I were stuck on a desert island I would have to insist on all of them. A Town Like Alice is one of the ten, and Jean Paget is, for me, the best of all Shute's heroines.